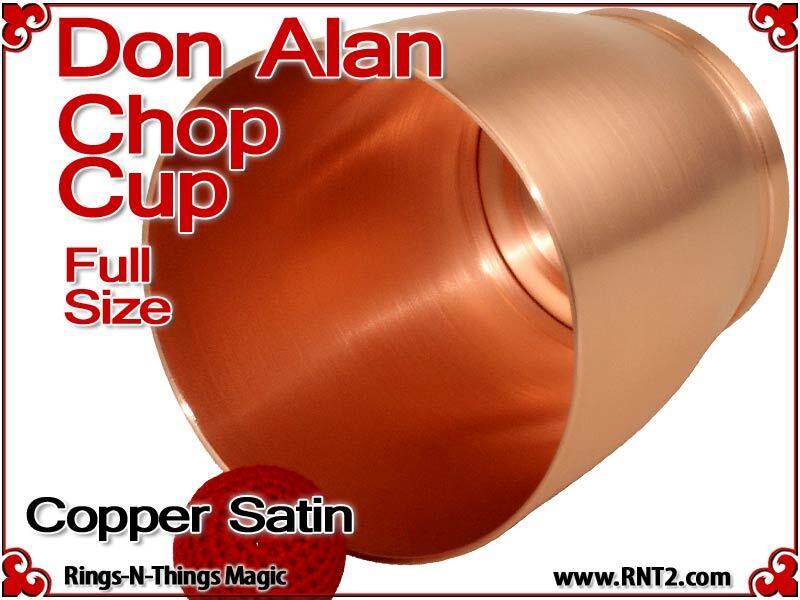 Each cup is hand spun from the original RNT2 Don Alan Full Size Chop Cup tooling from .050 copper with a brushed satin finish exterior and a brushed satin interior. 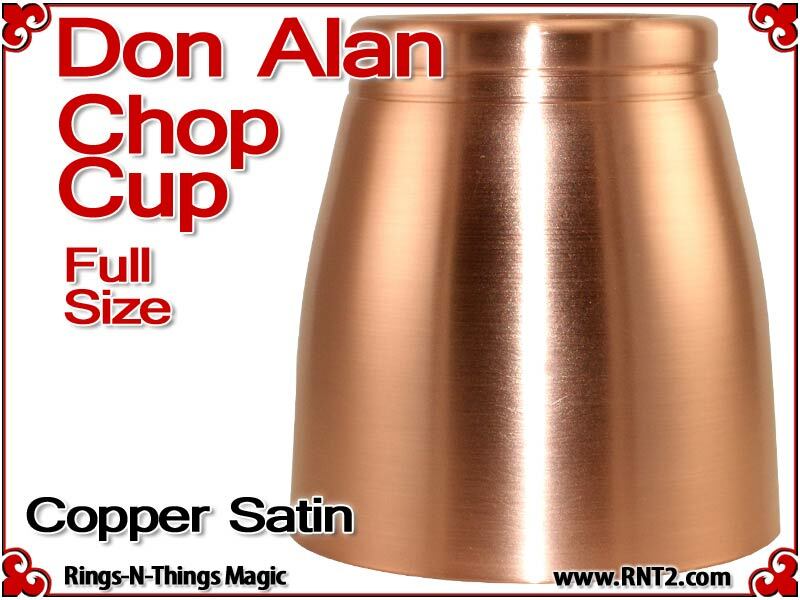 Don Alan Full Size Chop Cup | Copper | Satin Finish is made entirely in the USA. These cups are an absolute beast! The cup is as plain as you could ask for without a lot of flashy beading or anything else. Because of this it almost looks like part of a cocktail shaker, and it is certainly big enough to be part of one! The weight of the cup is nice and hefty and if you prefer lighter cups, you may want to go with the aluminium version, but the weight can be used to an advantage at times. 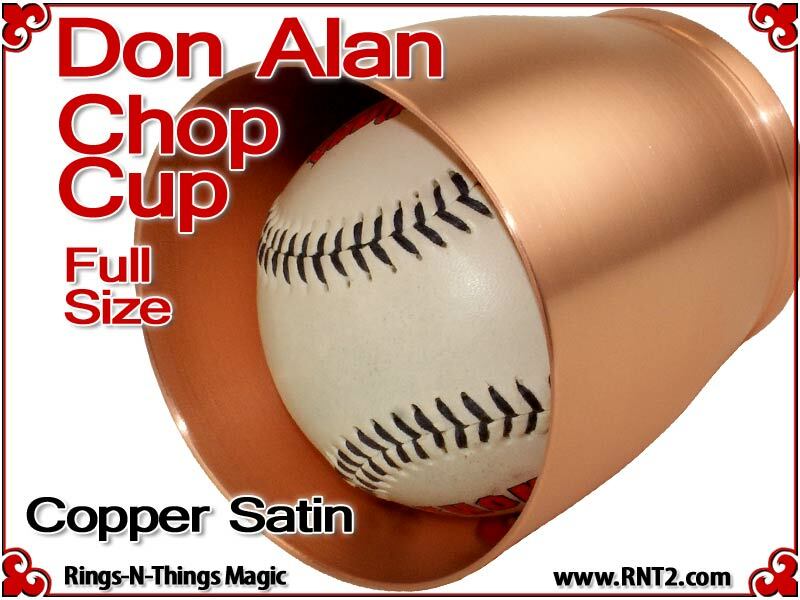 The size of this cup allows for some nice big final loads and the ad copy was right - if you produce a baseball from this thing you really do owe it to yourself (and your spectators) to produce something even bigger. This cup can handle it! The shape of the cup makes the final loads look even bigger, which is a plus. The dimple also allows for a larger load to sit securely on top of the cup, as well as keeping the regular balls from rolling away. The adjustable chopped ball works perfectly with this line of cups too - such an ingenious idea! 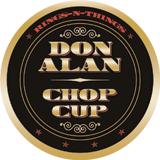 It goes without saying that everything that Donnie puts out is of the highest quality and materials available and this cup is no exception. It will take a beating and still give you a lifetime of great service! 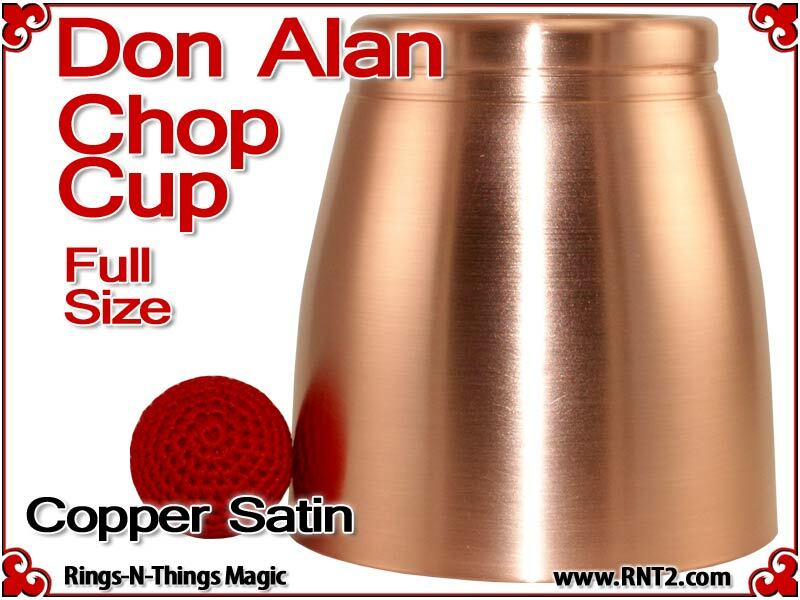 *This all applies to the BRASS Don Alan Full Size Chop Cups, which is what this review is based on and is the kind that I originally owned (and still have/use). 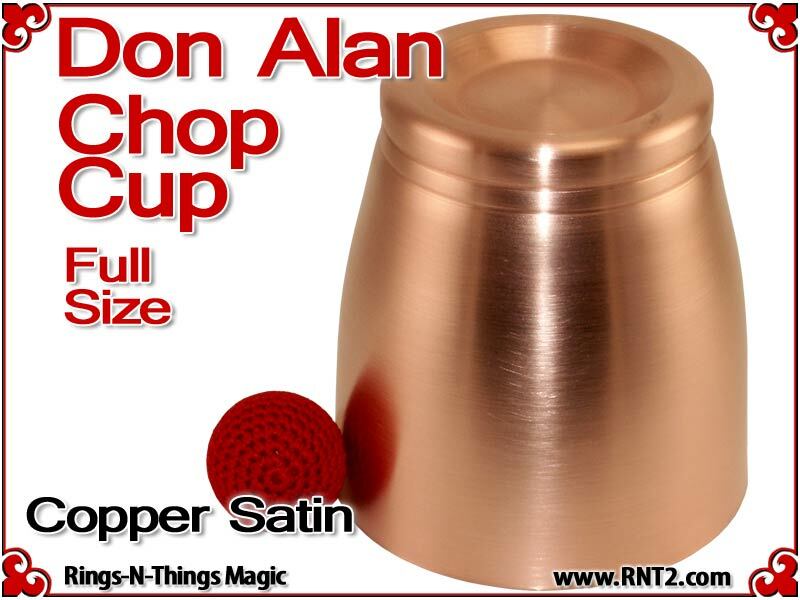 I purchased a Satin Finish copper cup because I love the look of tarnished copper over time, as well as the weight and the feel.